Melbourne Duo 164 began in 2004 and has played at many different pubs and parties. From November 2007 till Feb 2009 Melbourne Duo 164 played every Saturday night at the same hotel. 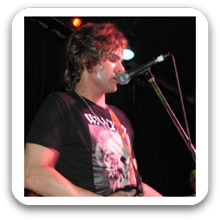 Melbourne Duo 164 is available as a solo act, an acoustic duo, or 3 piece band. Melbourne Duo 164 is totally live and acoustic and has years of performance experience. Can perform as a: Soloist, Duo, 3 Piece Band and are available to perform in Melbourne and Surrounding Areas. Thanks for entertaining our guests at our Gala Dinner. Your music was enjoyed by all and was a perfect addition to our event.